Complete List of upcoming Bollywood Movies in 2017, 2018 and 2019 with Release Dates Calendar for all New Hindi Movies. 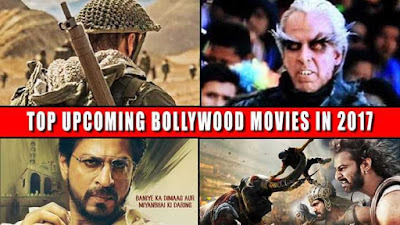 We provide Latest Update and complete list of Bollywood Upcoming Films With their Full Star-Cast,Lead Actors and Actress information. This year there are few big budget and sequel films scheduled for release in 2017 which makes it the best year for movie lovers. Let us know which movie is your favorite and the movie you are waiting eagerly? If there are any changes in the release dates then we will update it on regular basis. If there are any changes in the release dates when we will update it on regular basis.